Charity gaming event Gameblast18 kicks off this Friday 23rd of February, and to help launch three days of festivities, SEGA will be hosting a 24-hour stream, starting at 6pm UTC (6pm GMT). Those wishing to tune in can do so via the SEGA Europe YouTube channel. The stream will be raising funds for the great cause of helping thousands of people with physical disabilities enjoy video games through specially designed games controllers. You can donate to the cause through the SEGA Gameblast18 JustGiving page. A sudden stream brings news of SEGA’s charity work. During a stream done to celebrate all things spooky today, Aaron Webber made an announcement about SEGA’s drive for charity. This year, Sonic will be officially supporting a movement called Extra Life, which encourages gamers to livestream 24 hour marathons of any games they play to raise money for Children’s Miracle Network Hospitals, with $22 million raised since its inception. Ho ho ho! We at the Sonic Stadium hope you are all getting into the festive spirit! If you’re still not feeling it quite yet (or you haven’t seen the Coca Cola advert on TV) here are some announcements that might help you get in the mood! The London Gaming Convention returns next year on May 4th and 5th with two days of activities including arcade gaming to cosplaying. This year’s event will also play host to the voice of Dr. Eggman himself, Mike Pollock. May the 5th will also include the “Super-Sonic Sunday” event, with loads of Sonic-orientated antics to entice you to attend. For more information about the location and costs of the event, check out the London Gaming Convention Website. In aid of the Child’s Play charity, Alex and Alex will be taking on 2 days of non-stop Sonic gaming to test their endurance to the maximum. You can tune in to watch their progress from 7PM GMT this coming Friday (14th). All donations made will go directly to the charity, and donors will also be able to influence the choice of games played. 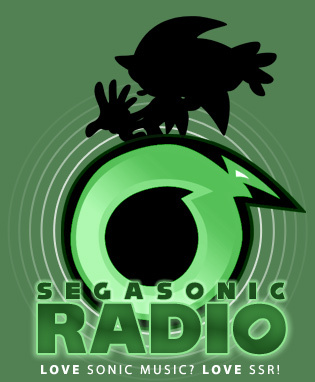 Tune in to SEGASonic:Radio this Sunday (16th of December) from 3:00PM GMT for a whole afternoon and evening of programming brought to you by a flock of SS:R DJs including Vger (3pm), T-Bird (4pm), Biafra Republic (6pm), Turbo (7pm) and Vizard Jeffhog (8pm). Expect a huge selection of Sonical songs over six hours, as well as a preview of the new Sonic Stadium Music Album during Vizard Jeffhog’s show and a chance to win yourself a copy of the Crush 40 Live album amongst other prizes during T-TIME. Don’t forget to join in and chat with DJs and other fans in the Sonic Stadium chatroom too! A few months back we heard the tragic story of four year-old Sonic the Hedgehog fan Dylan Cecil, who tragically drowned after slipping from a jetty while on holiday this summer. The funeral, in which he was buried in a Sonic coffin, was reported on several Sonic news sites and moved many in the community. Several community sites have been in discussion about fund raisers, and so thanks to some very kind donations from SEGA and webmasters, several very rare items of Sonic the Hedgehog merchandise are being auctioned off via eBay over the coming weeks. All of the profits will go towards the Burnham Area Rescue Boat fund at the request of the Cecil family. Dig deep for a good cause. 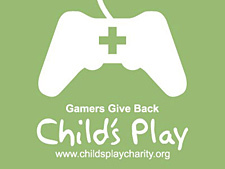 The guys from Respawn Point are back again this year to take on 7 days of non-stop Sonic games in aid of the Child’s Play charity, starting today. All of the week’s events will be streamed live over at http://www.sonicmarathon.com along with opportunities to win prizes including games, comics, collectable and more. The Sonic Marathon raised over $2000 for Child’s Play last year which, provides hospitals all over the globe with games consoles, games, toys & books to help make the stays of children more enjoyable. Join in the live action now! [UPDATE: TOTAL AND WINNER!] GreenAid: Donate For A Chance To Win A F4F 20th Anniversary Statue! Over the period of the last week we have raised a massive £530 (about $800US) for Dan Green! We at the Sonic Stadium would like to convey our utmost gratitude to all those who donated – this is an absolutely fantastic contribution! We’ve drawn a winner at random, and we’d like congratulate Josh T from the UK! You are the lucky recipient of a very rare and exclusive F4F 20th Anniversary statue! Thanks to everyone who has donated or posted an entry on the guest book! Earlier this week we were informed of the sad news regarding the passing Dan Green‘s wife. 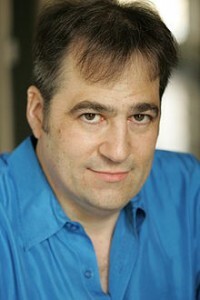 Dan has contributed substantially to the voice acting community, notably providing voices for cartoons such as Yugioh – you will most likely remember him as the voice of Knuckles the Echidna from 2005-2010. Our good friend Mike Pollock, who many of you might have run into at Summer of Sonic, has set up the Dan Green Guestbook through which you can send a message of condolence, or donate (there’s also an address to send cards or fan art or any other small physical letters). 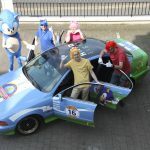 We at Sonic Stadium would like to rally the entire Sonic community to contribute in order to assist Dan and his new born children through a very difficult time – and we want your help too! Continue reading [UPDATE: TOTAL AND WINNER!] GreenAid: Donate For A Chance To Win A F4F 20th Anniversary Statue! 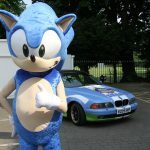 Today, SEGA has announced that Sonic the Hedgehog himself will be raising money for charity by running in the Rebel Sport Run4Fun 2011 event. 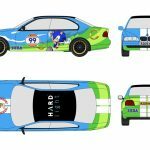 The charity run will take place November 6th and Sonic hopes to raise $5,000 AU for the Sydney Children’s Foundation, which is the main source of fundraising for the Sydney Children’s Hospital in Randwick, Sydney. If you would like to donate money to Sonic’s cause, you can do so at Sonic’s fundraising page. As of the time of this post, Sonic has raised $80 AU. Want something to keep your head warm this Winter? 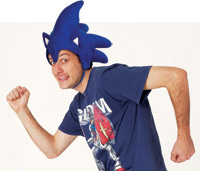 GAME Australia has revealed their pre-order bonus for Sonic Generations and it’s a Sonic hat. Judging by the pic of GAME Australia staffer Ed modelling the hat, it appears to be the same one the retailer gave away with Sonic Colours pre-orders last year, so many people may already have the hat. If you haven’t got one though, this is a good chance to get one for your merchandise collection. In other news, GAME Australia’s also been running a charity event called The Amazing Sonic Quest, in which staff member Ed is trying to collect games from Sonic’s 20 year history with the help of the public. If you have a game that Ed doesn’t already have on the list, then you can trade your copy for a $50 GAME Gift Voucher and a promotional copy of Sonic Generations when the game releases. Once Ed has all 45 Sonic titles, he will then auction them off with the proceeds going to charity. For more information, head over to GAME Australia’s The Amazing Sonic Quest page. It’s always great to see the many ways the Sonic community celebrates Sonic’s Birthday. Deviant Art artist Sonic Dash is marking the special occasion for our favourite video game icon by helping to raise money for Child’s Play, which is a charity organisation that aims to make the lives of children in hospitals a little better with the gift of video games. Sonic Dash will be livestreaming on June 23rd for 24 hours and will continue through the 24th if the stream is successful. Throughout that time Sonic Dash will be creating more of his impressive art pieces and by donating a certain amount of money (yet to be defined) you’ll get a copy of the PSD files of the pictures designed, sketches and another piece created by a mystery artist. 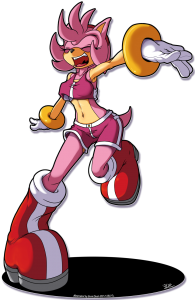 I will color at least two Sonic related pictures (one is a Rouge pic), sketch Sonic pics and take sketch requests. It’s even possible that I’m going to color a few of your requests or some of my WIP’s. Of course I will entertain your ears with music from the Sonic games. I will start live streaming on thursday, june 23rd. No specific time, but I’ll make a journal before I start. From then on I’m going to stream for 24 hours straight. I’ll continue for another 24 hours if the stream is successful enough and after I took a little break. ~CyanZack will entertain you with Sonic games until I come back for more. I know most of you will not be able to donate something on these two days, being it close to the end of june and at least one convention around the corner. That’s why the ChipIn for Child’s Play and the fundraising for Red Cross will stay open until sometime in july. My ChipIn will stay open until july 15th and I’m going to make short streams from june 25th to july 15th. Unfortunately my Livestream can only have 50 people watching. Also please be aware that I can’t stream or have to stop due any emergency (It’s thunderstorm season, for example). It will include PSD files of pictures I color on that day, some sketches and a picture by an awesome artist that likes Sonic games but does other stuff. You’ll receive it after july 15th, though only if you are willing to donate a minimum amount. Thanks to the SSMB staff member Urtheart for the heads up! 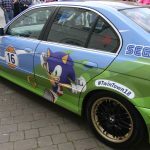 SSMB member Hogfather has reported in a topic at the forum that Sonic the Hedgehog will be appearing at a UK GAME store in Hull’s St. Stephens Shopping Centre from 11am to meet fans and help the store raise some money for charity. Hogfather queried with the shopping centre’s management regarding whether or not you can take photographs at the event, since the centre is normally strictly against picture taking, and they told him that picture taking is allowed for a small donation. Of course you can take photographs of Sonic!! For a small donation at least it is for charity. No word on which charity the store is raising money for, but we expect it’s for a good cause. If you plan to head to the fundraiser, you can find help for getting there at St. Stephens Shopping Centre’s website and GAME’s website. If you manage to grab some pictures or video from the fundraiser and don’t mind sharing them, send them in to us at thesonicstadium@googlemail.com and we’ll post them in a blog post on the site. Sonic Relief is back at last for its third and final year of fundraising antics! Following the success of the previous two campaigns, Sonic Relief 2011 aims to be bigger and better than ever so as to make it a swansong to remember. Our target for this year is £500+ as it would mean over the three years of Sonic Relief we will have raised over £1,000 for charity – quite the achievement to bow out on! That’s not to say we don’t want to reach for the stars though… let’s give the Sonic Marathon a run for its money if we can, and regain our crown as the most successful Sonic fundraiser! Show off your creative talents in aid of a good cause! 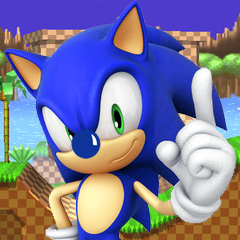 Simply create your own piece of humorous Sonic fan art/music/video/etc (the possibilities are endless!) and every one we receive will go towards raising money. The theme for entries this year returns to “something funny”, but we’d love to see some entries that incorporate our new Blue Noses to help promote the campaign. So once you’ve made your masterpiece and entered, share it with the world and help to spread the Sonic Relief love across the interweb! A different kind of entry we will also accept this year comes under the heading of ‘Sonic Relief DIY’, for which we want to see you going out into the big wide world and doing your own spot of Sonic fundraising! Have a sponsored day in blue, participate in a fun run dressed as our favourite ‘hog, make a calendar with your friends, literally anything you can think of – and then pass the proceeds onto us! Simples! Details (preferably with some photographic evidence) of your efforts should be posted in this here topic and the money raised donated via our JustGiving page. THE DEADLINE FOR ENTRIES WILL BE FRIDAY 18TH MARCH 2011. Donations are not compulsory alongside entries this year, however they are obviously encouraged if you have money to give. Want to do your bit to help but don’t necessarily fancy having to make an entry, or want to accompany your entry with a donation? Then we’ve got you covered! Simply head on over to www.justgiving.com/sonicreliefuk and you can pledge as much as you want to our cause – and all the money goes straight to the charity! You’ll need a credit/debit card to use JustGiving, but it’s simple and safe! THE DEADLINE FOR DONATIONS WILL BE FRIDAY 18TH MARCH 2011. Sonic Relief is branching out into all-new horizons with the Blue Noses, our most ambitious and exciting feature to date! We want each and every one of you to don one of our Blue Noses on your avatars, signatures, profile pictures, etc to help spread the word about our campaign and hopefully provide some laughs in the process! 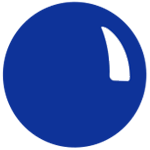 Feel free to resize the Noses to suit your images as necessary, or if you need us to slap a Blue Nose onto your avatar for you then just let us know! We’d love to see some of your entries incorporating the Blue Noses and don’t forget to post any of your Blue Nose images here in this topic – perhaps we could make a collage out of them all at the end of the campaign! 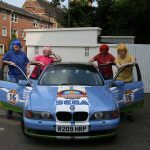 There’s plenty more to be excited about during the course of Sonic Relief 2011, with many creative projects already underway! 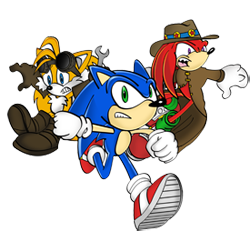 Sonic: The Age of Steam, the steampunk Sonic fan-fiction being written by yours truly, kicked off earlier this year and you can look forward to reading the rest of the story in the coming weeks! We’ve had some great steampunk badnik designs too, amongst other support – this is truly turning into a real community project! You can read the story and check out all the artwork so far at the official blog. We’d love to see your The Age of Steam inspired entries, also! RadioSEGA DJ Gavvie is also returning to help out with Songs For Sonic 2, which follows in the vein of the original album from last year, but this time featuring originally mixed tracks exclusively for Sonic Relief 2011! The album will be available to download soon. 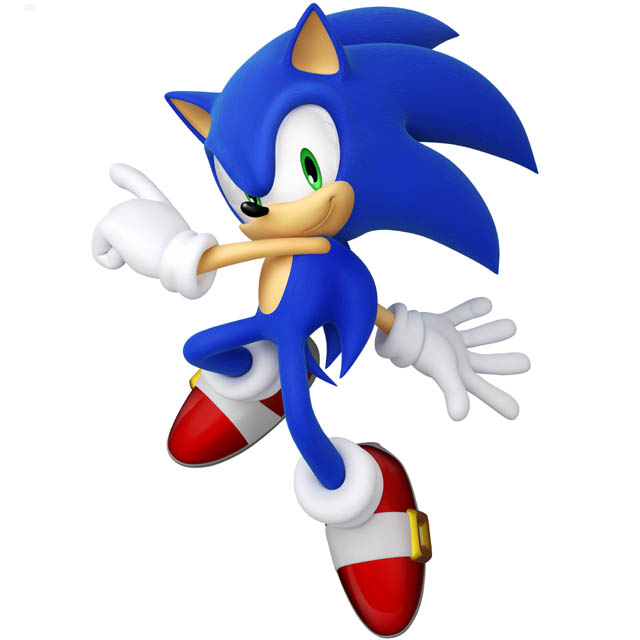 Sonic Relief and RadioSEGA are also planning to team up at some point during the campaign for Blue Nose Day, a radio-thon of musical and fundaising fusion! Stay tuned for futher details. These and many other individual projects are going on right now as well, such as Glenn Scully’s The Shadow of a GUN fan-fic, so please show your support to each and every one of them and pledge accordingly! Let’s make this the Sonic fundraiser to end all Sonic fundraisers! For more information about Comic Relief, head over to the official website. 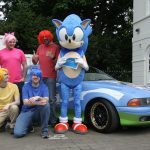 A group of gamers from Respawn-Point (namely Zack, Nathan, Dan and Damien) are holding a Sonic gaming marathon in which they are raising money for the Child’s Play charity by playing nearly every game in Sonic’s library non-stop for 7 days. The event kicked off on December 27th and will run until January 3rd in the New Year, so there is still plenty of time to tune in and get involved. For a donation as little as $3 you’ll be entered into a raffle to win a Sonic game, of which one of the titles being given away is Sonic Colours (PAL version). The guys are hoping to raise at least $500 total and are already well on their way with $203 raised at the time of this article. To take part, head over to the website. You can donate via the widget on the page there using PayPal. Destructoid’s Jesse Cortez will be holding a 24 hour-long special video game stream for the Extra Life charity fundraiser today and during the “Speed Run Challenge” segment of the show Cortez will be streaming the Comic-Con demo of Sonic Colours (Wii version), which as you may have seen includes portions of the Tropical Resort, Sweet Mountain and Planet Wisp stages. This part of the show should be played around 5:00 PM and 8:00 PM (PST), which is 01:00am-04:00am GMT in the UK, so we advise you guys get some sleep during the day if you want to join in. All Cortez asks of you in return for this event is that you pay a donation, which will go to the UC David Children’s Hospital. Hi I’m Jesse Cortez and this year I’m raising money and awareness for my local Children’s Miracle Network hospital, UC Davis Children’s Hospital. On October 16th, 2010 I’ll attempt to play video games for 24-hours straight, and I’ve asked you to come by in hopes that you’ll support me by giving just $1.00 per hour ($24 total). Your donation is tax-deductible and 100% of your gift goes to help heal sick kids, here in Sacramento, CA. This Fall, my fellow Extra Life gamers are going to make miracles happen for kids. I can’t do that without your support. My goal is to raise $5,000.00. This is DtoidSF’s official gamer account! Let’s raise some money for charity! Thank you for your time, support, and participation. Will you be taking part? Let us know in the comments. Doctor MK (or MK Skillz as some of you may know him), the founder of charity fundraiser Sonic Relief, has announced the return of the event for next year and a new twist for everyone to get involved with. Check out the announcement bellow. One of the most pressing issues with the previous two Sonic Relief campaigns has been publicity. It’s hard to reach out to all the different corners of the fanbase and raise as much money as possible when hardly anyone knows you exist. But, with any luck, that’s all about to change this time around. Why’s that? Because, ladies and gentlemen, I present to you… the great Blue Nose campaign! Anyone who knows about Comic Relief will know that a major source of their fundraising is through selling Red Noses which you can then wear to show your support (often with very funky designs – one year you could even give your Red Nose its own hairstyle! 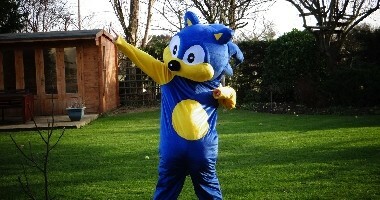 ), and so if Sonic Relief is to live up to the charity’s legacy, it’s only fair we give a similar thing a go ourselves. If you’ve been keeping up with our retrospective, you’ll know that it was a Blue Nose that inspired the whole Sonic Relief concept in the first place. Now, obviously it’s impractical to try and manfacture and sell the titular Blue Noses in real life… so what on earth am I rambling on about? “You’ve gone mad, MK!” I hear you cry. Well, no I haven’t. Not yet anyway. So, what could possibly be the next best thing to having an actual Blue Nose? Slapping a Blue Nose on your online avatars and signatures, that’s what! As modelled above by Sonic the Hedgehog himself, it’s a quick and simple procedure that will help to make your avatar look way past cool as well as doing our campaign the world of good – a little bit of promotion can go a long way! You’ll be able to get your hands on a downloadable Blue Nose of your own very soon (prior to the start of the campaign – which, I can now reveal will run from mid-January to early April) and, unlike a Red Nose, it’ll be totally free. Why? Because the potential impact of this viral publicity stunt will be priceless to our efforts if it goes to plan and enough people take part. The Noses will come in a range of sizes to suit everyone, and if need be we’ll even stick to the Nose on your avatar for you! We’re really pulling out all of the stops for this one. So, even if you don’t want to submit an entry or make a donation to Sonic Relief 2011, you can do us a huge favour simply by giving your online persona a small makeover! I cannot plead with you enough to take part in this if you can – such a small thing can go so far! Heck, let’s even see some Blue Nose themed entries this year! Get your nose on! But… wait a minute… Comic Relief has a Red Nose Day to go with its Red Noses, right? So does that mean we’re going to have a…? No, we couldn’t… could we? Blue Nose Day 2011. Watch this space. Fre more information about Comic Relief, visit their website. 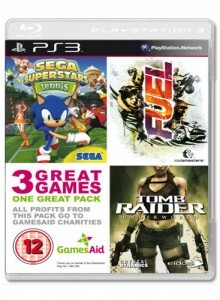 A PS3 game box set has been released in the UK by charity Games Aid, the compilation consists of three games namely SEGA Superstars Tennis, Fuel and Tomb Raider Underworld donated by well known publishers SEGA, Codemasters and Eidos. All money raised by sales of the compilation will be donated straight to Games Aid who will distribute the money to various charities. GamesAid is a new UK video games industry based charity. It distributes funds to a diverse range of charities; it is a means of giving something back on behalf of the industry. GamesAid acts as a broker of charitable activity on behalf of the industry, taking advice from all sectors. It is a non trading body. The charity is administered by Trustees, who operate on a fixed term basis. It is formally run by a chairman, who is also on a fixed term. GamesAid is a children and young people’s charity. Funds will predominantly be used to support children’s charities in the UK, with limited application for overseas causes; for education, health, housing and social welfare. Funds may also be deployed for career guidance and sport. Where possible, there will be some form of technology/interactive play element, but that is not a funding stipulation. Funds can only be raised for Registered Charities. The charities supported by GamesAid are more likely to be small-to-medium sized, rather than the better-funded larger ones. The compilation is available in all good game retailers for the RRP of £39.99 though many retailers like Zavvi are selling it for as little as £27.95 if you’re not able to donate that much. Hopefully the compilation will raise some well needed funds for the various charities involved and bring new audiences to the three games in the compilation, SEGA Superstars Tennis’ online multiplayer modes could do with a bit more life in them. Thanks to Gnasher for the heads up! And so, the curtain falls on another Sonic Relief campaign. Despite things getting off to a pretty slow start, your entries soon flooded in and we’ve had another successful year of Sonic-related fundraising! Following last year’s surprising £102 total, we tried to be a bit more experimental this time around. Some of the new features worked well, others not so much – the introduction of JustGiving allowed anyone to make a donation to our cause, whereas the “something sporty” theme was perhaps a bit more limiting. Needless to say, we will be taking all of these things into account in the future. One thing to keep in mind is that Sonic Relief is still relatively new, and still something unknown to many people in the community. With more time, more publicity and more support, there is plenty of potential still to be unlocked. I’d also like to clear up a possible misconception and say that Sonic Relief is not just a charity campaign – it’s a creative showcase for the community, with your efforts going towards helping a good cause. Now, before I move on to the announcement of this year’s grand total and our winning entry, I’d like to thank a few people. First, a huge thanks to everyone who entered and donated – I said it last year and I’ll say it again, we couldn’t have done it without you! Thanks also go to T-Bird and Urtheart for donating prizes, to Pelly, ArchangelUK and Vger for helping to promote the campaign and for their general support, and to Dreadknux for letting us hold another Sonic Relief here on The Sonic Stadium. And of course, a massive shout out to my good friend Shadzter who helped to make this whole thing possible for the second year running. That’s an absolutely whopping total, folks! Everyone who participated deserves to give themselves a huge round of applause. If we can raise this much even with a lack of publicity, imagine what we could do if the whole community got involved! 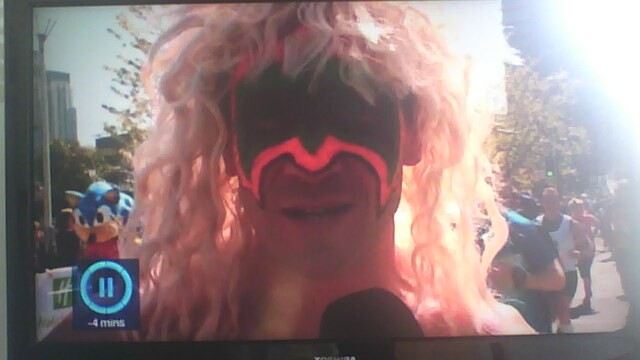 This entry was picked as the winner because it truly represents what Sport Relief is all about – bringing the worlds of sport and comedy together! Congratulations to you, Tina – you’ve got your hands on those exclusive Sonic and Knuckles plushes, as well as a copy of Sonic Heroes on PC! And that’s about it for this year’s campaign. Will we be back in 2011? I’m certainly up for it, but it’ll depend on how much the community will get involved – so the more support we get from you guys, the better! In the meantime if you have any suggestions for future campaigns please do not hesitate to get in touch with either Shadzter or myself, your ideas are much appreciated! Or you can do us a huge favour and just help to spread the word about Sonic Relief! Thank you all once again for your support and we’ll hopefully see you again soon for more fundraising antics! Huge thanks goes to Sonic Relief founder MK Skillz, without all of his work this achievement couldn’t have been possible. Thanks from myself also go to everyone who contributed, Dreadknux, T-Bird, Urtheart, Gavvie, Pelly, ArchangelUK, Vger and to everyone who entered the competition and made donations. 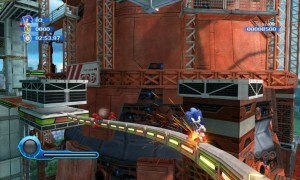 SONIC RELIEF 2010: THE FINAL SPRINT! We’ve officially hit the halfway point of Sonic Relief 2010’s two month fundraising drive, with just one month remaining until the campaign ends at midnight (GMT) on 21st March. With the official Sport Relief campaign now kicking off in the UK, it’s now a mad dash to the finish line to raise as much money as we can! The total currently stands at £154 thanks to some generous donations on our JustGiving page, but the number of actual entries we’ve received (be it artwork, music, video… anything!) has been disappointingly low. In fact, you can count the amount of entries we’ve had so far using the fingers on one hand, which pales in comparison to the 30 or more entries we received in Sonic Relief 2009’s shorter two week run. So our message to you all is this – we need your entries! You know what they say, the more the merrier! The theme for entries this year is “something sporty” but you can make them as humorous as you like as well! Why not take some inspiration from the upcoming Sonic & SEGA All Stars Racing, or Mario & Sonic At The Olympic Winter Games… both sport-related Sonic titles! We’d love to see your submissions based on these recent games! What are you waiting for? Get your imaginations in gear and get creative! Do your bit for the community as well as for a good cause! This is your time to shine, Sonic fans! Submissions wishing to be entered into the contest should be sent to shadzter@sonicstadium.org as an attachment or a link (depending on what your submission is), along with some form of proof that you have made a donation to Sonic Relief 2010 (be it a name so that we can check you have donated on our JustGiving page or a print screen of your donation). All other submissions should be posted in the official Sonic Relief 2010 topic. It is recommended that submissions both paid and non-paid should be posted in this topic to give inspiration to others, as well as showcase your creative talents! Sonic Relief is back with a bang! Following the unexpected success of last year’s campaign, Sonic Relief 2010 aims to be bigger, better, and more successful! The basic premise of the campaign is still the same as last year – do something Sonic for money! Whether you want to draw a picture, sing a song, make a video… literally ANYTHING… then we want to see it! The possibilities are endless! This year’s theme is “something sporty” to coincide with the charity we are raising money for, but that’s not to say you can’t make it humorous too – as long as your submissions still have some relevance to Sport Relief. There is one fundamental change to this year though – due to the good ol’ recession, Shadzter and myself won’t be able to do what we did last year whereby a certain amount of money was donated for every submission. Instead, this time we ask if the people submitting could make a small donation along with their submission (only £1 or so will do!). It may seem a bit cheeky, but it’s for a good cause – and there’s something in it for you, too! Each paid submission will be entered into the contest for Best Sonic Relief Submission 2010, and our favourite will win a prize! 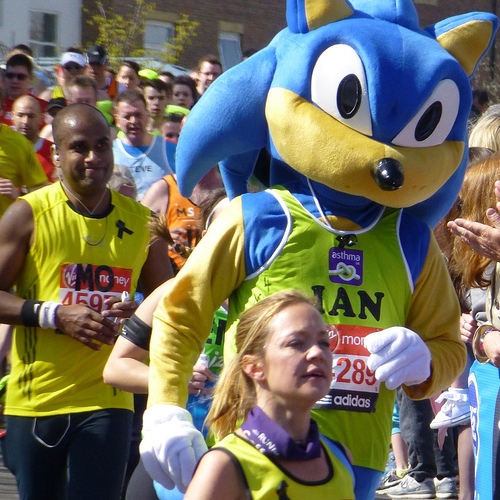 Sonic Relief 2010 will also utilise JustGiving, a system which allows anyone to make a donation (of however much they wish) to our cause – and the money will go straight to Sport Relief! 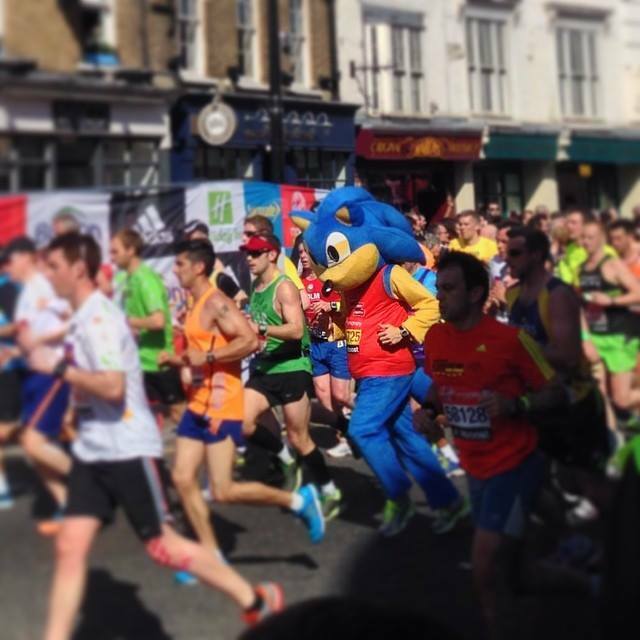 This enables you to do whatever you like to raise money for Sonic Relief – make a calendar, have a ‘Day in Blue’, participate in a fun run… anything! Raise some cash and then pass it on to us via JustGiving! Alternatively you can just simply pledge some money via JustGiving. Whether you want to make a set donation no matter what or you want to follow a similar system to last year whereby a certain amount is donated based on how many submissions we receive… well, that’s up to you! We’re giving you every possible option you could ever want to raise money this year! Submissions not wishing to be entered into the contest should be posted as normal in the SSMB topic, the same as with last year’s campaign, so that everyone can see them and be inspired by them. Submissions wishing to be entered into the contest can also be posted in the SSMB topic so that we can keep a total of how many submissions have been made to the campaign (in case anyone is planning to donate using a similar system to last year). The closing date for submissions and donations will be midnight (GMT) on Sunday 21st March 2010 to coincide with the end of the Sport Relief Weekend. If you have any queries regarding this year’s campaign, do not hesitate to contact either myself or Shadzter and we will do our best to respond. Thanks for all your support so far and stay tuned for more Sonic Relief announcements coming soon! Myself and MK Skillz have had some more discussions about 2010’s Sonic Relief campaign and we have some more details and dates to reveal. MK Skillz, the founder of Sonic Relief has just issued a press release regarding Sonic Relief 2010. Sonic Relief 2010 is on its way and there’s plenty to get excited about! The campaign will run in a similar fashion to Sonic Relief 2009 – people can make Sonic-related submissions (be it artwork, music, video… anything!) and a certain amount of money will be donated to charity based on how many submissions are made. However, we’re planning on giving away a prize or two for our favourite entries, so that’s an extra incentive to get creating! That’s not all though. Perhaps you have another idea to raise some money? Well, now you’ll be able to take the fundraising into your own hands! Inspired by some of the suggestions we’ve received from the Suggestions Topic (including a “Day in Blue” and a rather interesting calendar idea), we plan on setting up a system whereby you can come up with your own ways to raise money and then pass on the proceedings to the main Sonic Relief campaign. Alternatively, this system will also allow anyone to just simply make a donation should they wish! We want everyone to be able to get involved in next year’s Sonic Relief! There you have it then, that’s the basic premise for Sonic Relief 2010. You can expect the campaign to be kicking off in early January and running up until March to coincide with the UK Sport Relief campaign. So, be sure to put your thinking caps on and get your creative juices flowing in readiness for what will hopefully be a bigger and better Sonic Relief! In the meantime, you can get yourself prepared for the campaign by following @SonicReliefUK on Twitter or joining the official Sonic Relief Facebook group. 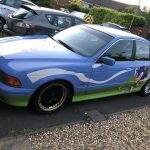 “Some of you may remember the Sonic Relief 2009 campaign that was run earlier this year which was an unexpected success and raised over £100 for UK charity Comic Relief. Well the two people behind the campaign – MK Skillz and Shadzter – want to bring Sonic Relief back. But before we do so, we want to hear some ideas from you. Suggestions are wanted from you guys regarding what changes or improvements you would make to Sonic Relief. This doesn’t necessarily mean suggestions for activities for a future Sonic Relief (though by all means share your ideas! ), it primarily means suggestions on how to change the Sonic Relief formula itself in terms of donations and submissions, etc. After all, it’d be you guys who’d be participating in the campaign, so we want to make it as workable as possible for you. Be sure to let us know your thoughts in the Suggestions Topic on SSMB! Red Nose Day has now been and gone and Sonic & The Black Knight is now on UK shelves… but there’s still one last thing to do before we say “sayonara” to Sonic Relief 2009 (which was conceptualised to celebrate the two) and that’s to announce the grand total we raised for charity. Only a couple of weeks ago we asked you to “do something Sonic for money”, be it a drawing, a video, a song… literally anything. And you did. For a relatively unplanned event and a fairly short time span, we received loads of entries – all in the name of a good cause. Thank you to all who entered. Certain members had vowed to donate money to Comic Relief based on how many entries we received (be it 50p per entry, a set amount whatever the number of entries, or strange mathematical calculations) and before I reveal the total I’d just like to say thank you to all of these. Without you, this event could never have taken place or been the success it has become. Special thanks goes to MK Skillz who originally put the idea through to me and without his constant help throughout the event, none of this could have happened. Special thanks also go to my wife Emma, Urtheart, vger, JJ4eva, The DJ and bolt7 for all their donations, you rock! So then, shall we get on with it? It’s the moment you’ve all been waiting for! 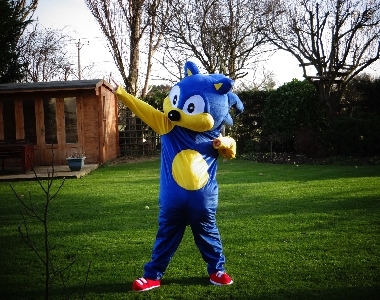 I can now reveal that Sonic Relief 2009 managed to raise a rather spectacular £102 for Comic Relief! It may not sound like much but considering the short space of time we had, that’s a really respectable amount. It may only be a small addition to Comic Relief’s current total of over £57 million but it’s a valuable addition nonetheless – and it’s also helped to bring our community together to aid a common cause. In celebration of this year’s success we are also planning to present some of the best Sonic Relief 2009 entries on The Sonic Stadium’s front page. So, I guess that’s it for Sonic Relief then… right? Well, no. Judging by the success of this first fundraising drive, I’m more than up for doing it again sometime in the future – and I’m sure that a lot of you would be too! With more time, more planning, and more support who knows what we could be capable of raising…? 14-3-09 UPDATE: That’s a wrap folks! So if I’ve counted right, we have 36 entries! Some are from multiple entries some people submitted but it’s still an awesome number of entries. Thanks to everyone who contributed, that’s £17.00 I will be donating to Comic Relief. We have £20 going to Comic Relief from The DJ, that makes £37.00. Urtheart will be donating so much per entry via his calculation that I can’t get my head around 😆 Other staff will be donating some cash too. Once we have a full total of the raised amount, we’ll let you know our grand total. 6-3-09 UPDATE: To make things more official, gain optional donations and to put entries in a place where everyone can see and appreciate them Sonic Relief now has an Official Comic Relief site which you can check out here. Turns out these Comic Relief pages only allow 3 pics and 3 videos up at one time so we’ll be rotating entries so that everyone has some showcase time on the site. To celebrate the UK release of Sonic & The Black Knight as well as Comic Relief’s Red Nose Day on Friday 13th March 2009, we’re giving you the chance to help raise some money for charity in the very first Sonic Relief! 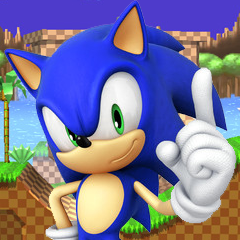 Sonic Relief is a concept made by SSMB forumer MK Skillz, which simply asks you to “do something Sonic for money”. Thanks to the super power of teamwork, The Sonic Stadium is heavily supporting the idea and it’s been given the go ahead. All we need you to do is to be a part of Sonic Relief! Whether you want to dress up as your favourite Sonic character, sing a song, draw us a picture… literally ANYTHING (as long as it’s funny and will make us laugh!) then we want to see it! The possibilities are endless! For every entry that we receive, Shadzter (as well as other supporting members such as Urtheart, Vger, bolt, and SEGA Sonic’s Radio DJs The DJ and JJ4eva) will donate money to Comic Relief. The more entries, the more money we raise… simple! All entries should be posted in the SSMB Sonic Relief topic. The closing date for entries is Friday 13th March 2009. Thanks for all your support so far, stay tuned for more Sonic Relief announcements coming soon! It’s clear to see that the best release of the SatAM DVD box set is the American one. Brits have also been lucky enough to see a SatAM boxset, but we don’t have any of that awesome artwork on the cover, nor the fan art that adorns the inside packaging. So what better than to get a copy of the American DVD boxset that’s also signed by Series 2 writers Ben Hurst and Pat Allee? Just your luck then, as such a item has hit eBay recently. Former Fans United for SatAM website owner, Quexinos, is putting up this copy of the DVD boxset, said to be one of only three in the world to exist. The eBay auction includes a certificate of authenticity too, so you know you’re getting the real deal. According to current owner of FUS, RockyRaccoon, the auction’s proceeds are going to “Chief-Aid”; a campaign to help FUS Forum ‘Chief’ out of a financial hotspot. He’s a single father who’s just been laid off, and at this time of the year that’s just cold and brutal. If you want to help the “Chief-Aid” cause and grab yourself a limited edition SatAM boxset in the process, then head on over to the eBay auction here to place your bid. The current bid is $41 at time of writing, as is the case with these ‘charity’ style things, if you feel like affording a bit more for what you feel the boxset is worth then it could truly change someone’s Christmas for the better. Our wishes go to ‘Chief’! Gaming marathons are all the rage these days – it’s a noble cause, after all, and quite simple to set up. Get a webcam, a donate button, play games, earn money, send money to charity. To my knowledge there hasn’t been a Sonic the Hedgehog marathon set up (we’ve had Mario and the like so far, by different gaming groups), but a small gang called Ocean City Trinity are giving the blue blur a run for his money for the EduCare Foundation. The games will be the main console titles and range from Sonic the Hedgehog to the newly released (in America) Sonic Unleashed, and if you want to watch the fun unfold, it all kicks off on Saturday 22nd November. Head to their website for more details. Good luck guys! Signed Sonic the Hedgehog paraphernalia amongst other video game related treasures are set to be auctioned next Saturday the 17th as part of the upcoming Hollywood Arts Dream Awards. African mountain-climbing, massive sponsored online auctions… sounds like another SEGA charity event. The European arm of the video games giant recently organised a venture called “TAKIN AGES“, a Kilimanjaro chairty climb in aid of the Entertainment Software Charity (ESC). Three of SEGA Europe’s partygoing managers – Caroline Searle (Purchasing Manager), Tina Hicks (UK Marketing Manager) and Lynn Daniels (EU PR Manager) – will be making the climb in an effort to raise money for children’s education charities. On 4th October they will be whisked to Tanzania to commence a no doubt rigorous six-day trek through the African mountainside.